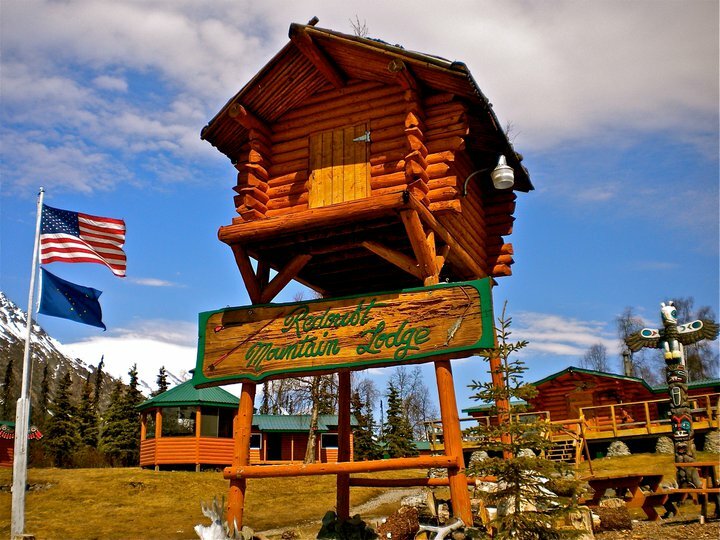 A remote wilderness hideaway with room for just 12 guests, Redoubt Mountain Lodge offers natural beauty, comfortable accommodations, a high level of personal attention, and lots of activities (with expert guides for all of them). 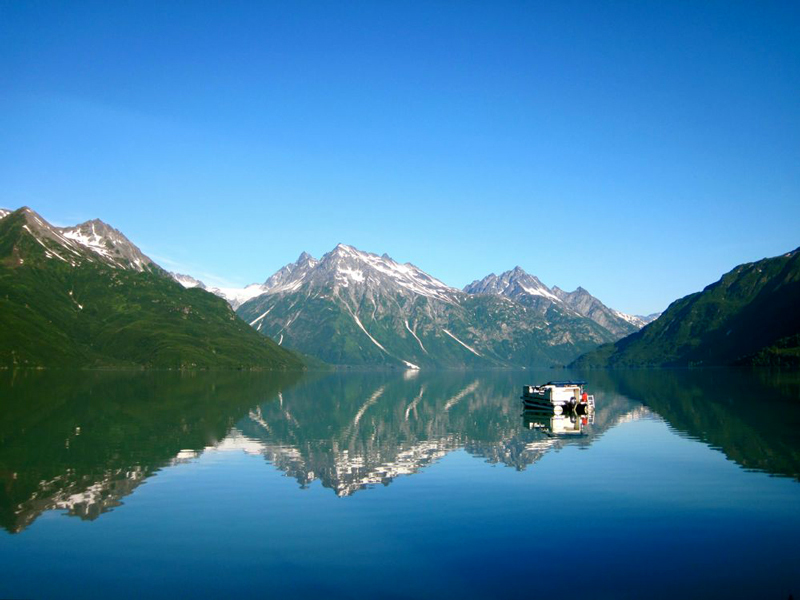 Its dramatic setting on the glacier-fed waters of Crescent Lake, in the heart of the Chigmit Mountains, offers dazzling views—including that of its namesake peak, 10,197-foot Redoubt Volcano. 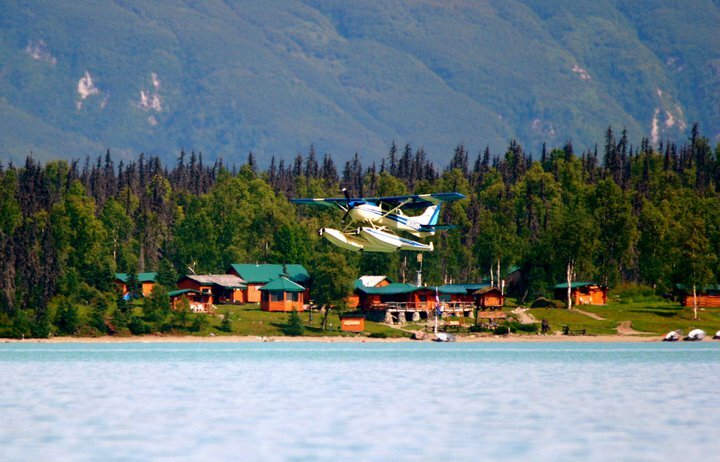 And, since it's the only privately owned property within a 25-mile radius, staying here is a truly remote Alaskan experience. 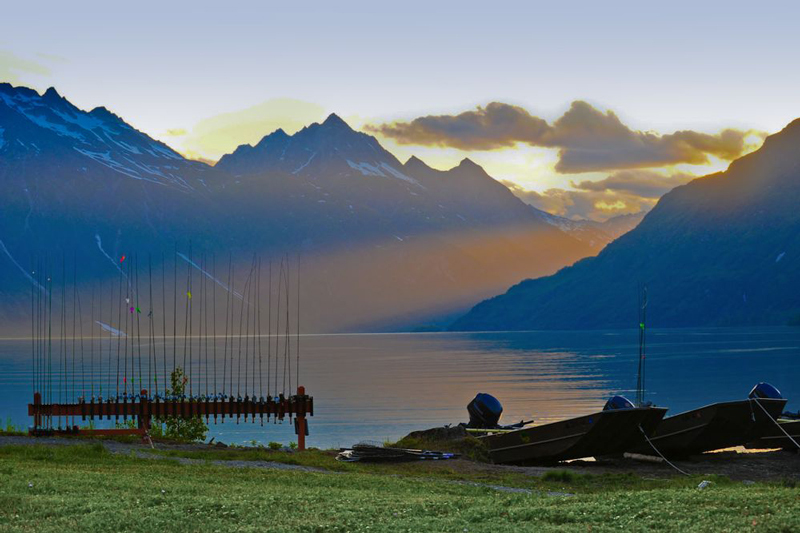 Fishing and a wide variety of activities will fill each day. 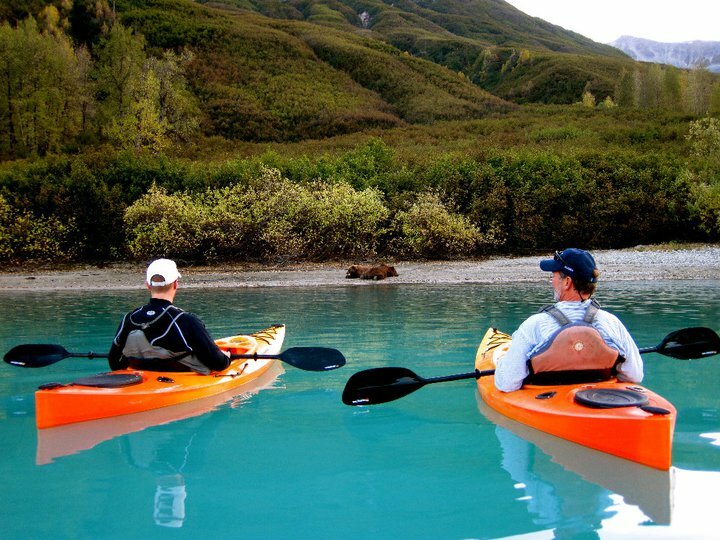 The remote location is perfect for bear-viewing, kayaking, photography, hiking, watersports, and exploring the surrounding area. 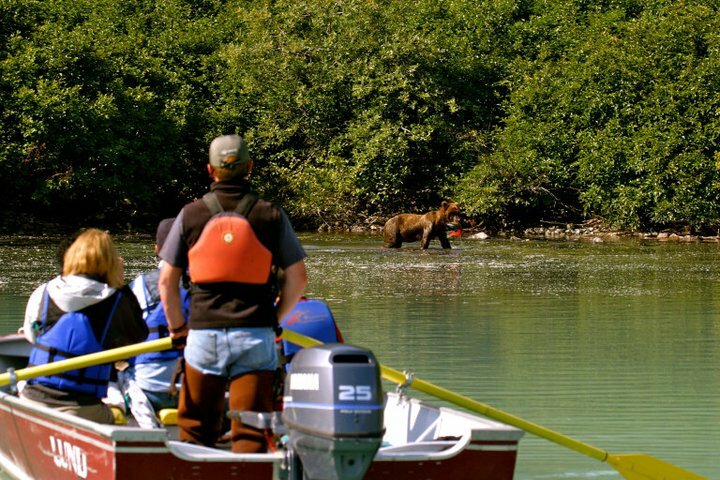 Fishing is just a 10-minute boat ride away, with rivers that offer fantastic runs of sockeye and coho (silver) salmon, along with king salmon and pinks. 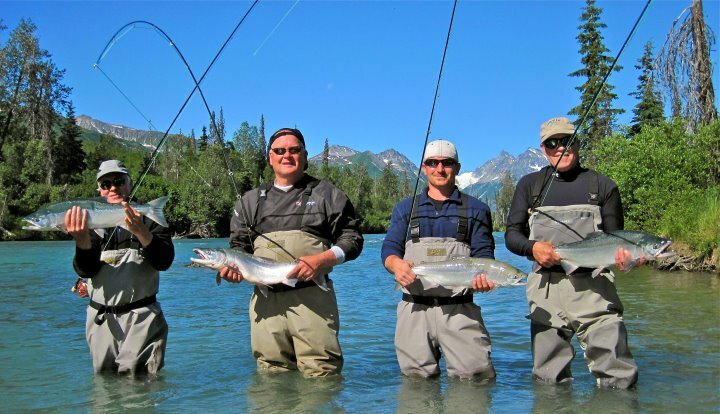 Lake trout, dolly varden, and arctic char are also plentiful throughout the season. 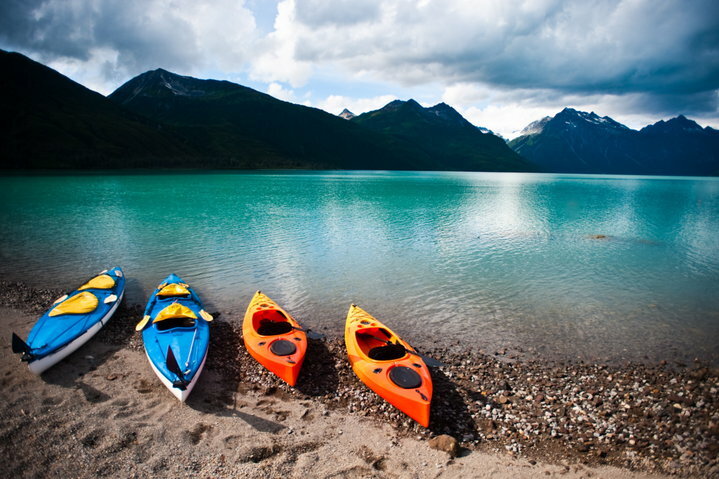 If you've had your fill of fishing, take out a kayak around the lake, walk to a 60-foot-tall cascading waterfall, or conquer a rugged 3,300-foot mountain peak. There's also no shortage of options if you just want to relax: request a massage, soak in the hot tub (in a screened-in gazebo with an amazing view), check your e-mail, watch satellite TV, or kick back on the deck with a book, keeping an eye out for bald eagles overhead. 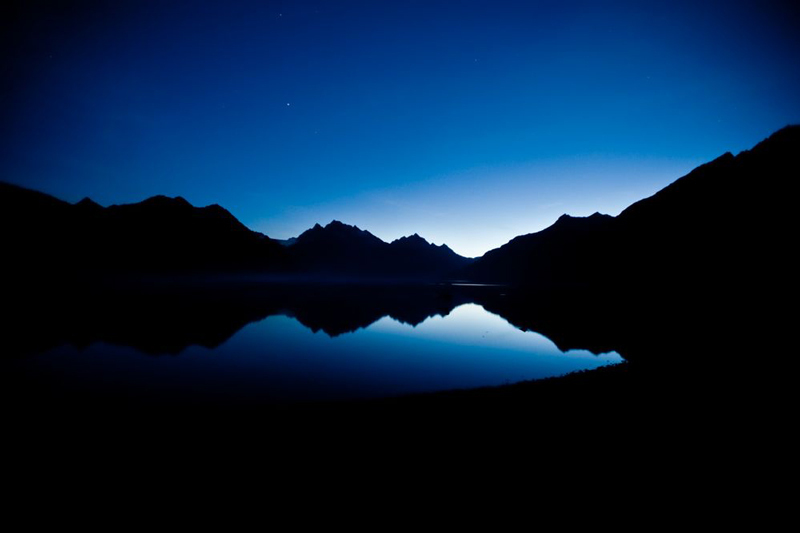 Then retire to your individual spruce-log cabin, which includes two comfortable beds, propane heating, private bath, & breathtaking views of the lake & mountains. 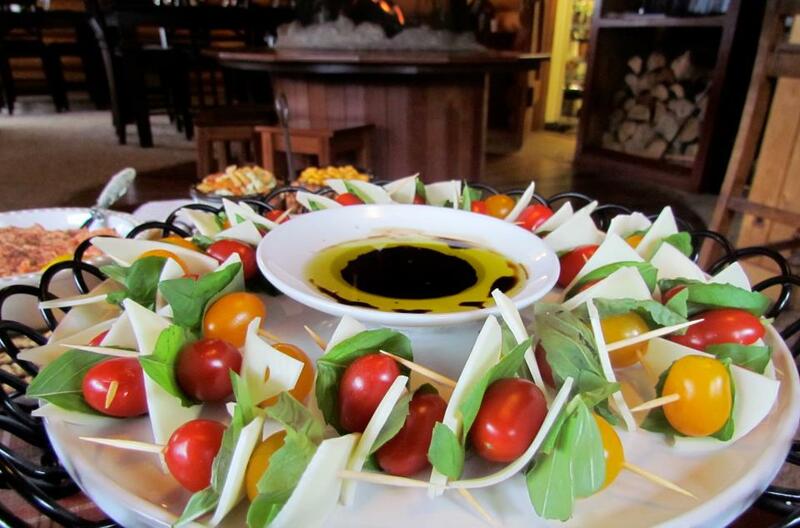 Delicious meals are served in the authentic spruce-log Main Lodge. You'll start each day with a breakfast buffet, where you'll find an assortment of homemade breads, muffins, and pastries, along with fresh fruit and more. 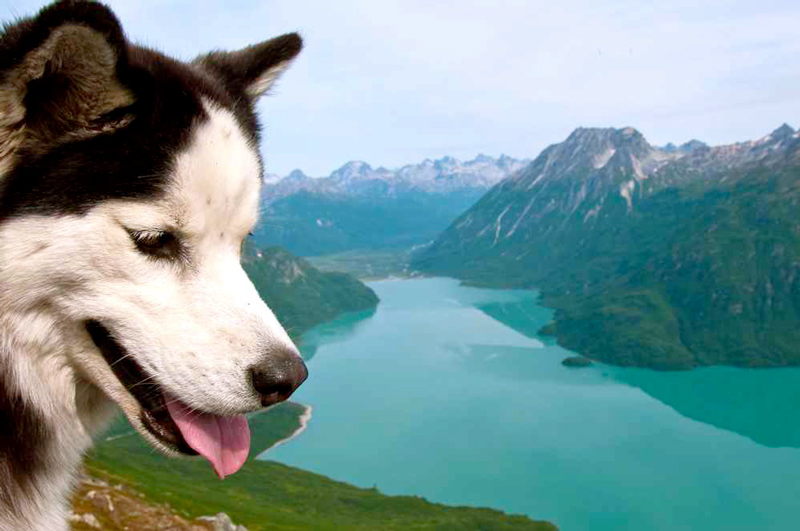 Head out for the day's excursion with a fully packed cooler, then return around noon to refuel and share the morning's events over a full, plated lunch. Evenings provide a chance to wind down next to the fireplace while enjoying hors d'oeuvres and a variety of complimentary wine and beer, including Alaskan Amber on tap. 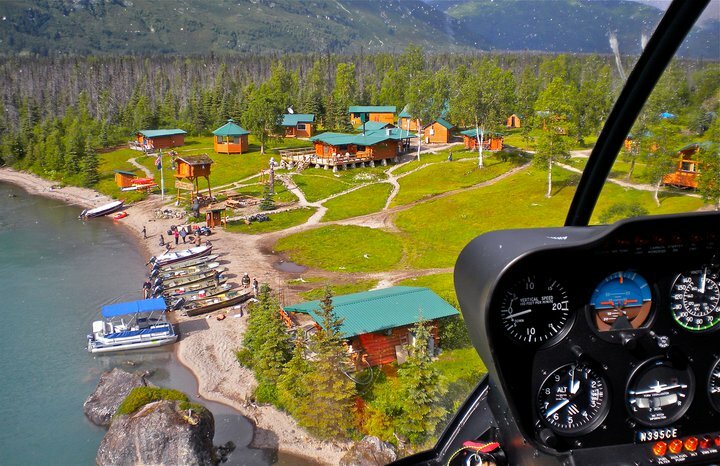 Then sit down to a dinner of Alaskan entrees that may include sugar-spiced cedar-plank salmon, rib-eye steak, and barbecued baby back ribs. 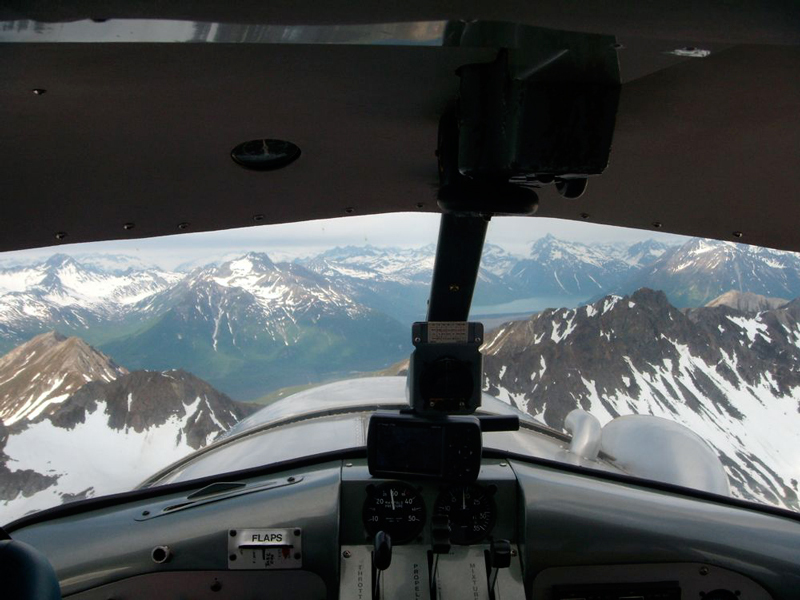 Redoubt Mountain Lodge is located 20 river miles from the Cook Inlet & is accessible only by float aircraft or helicopter. 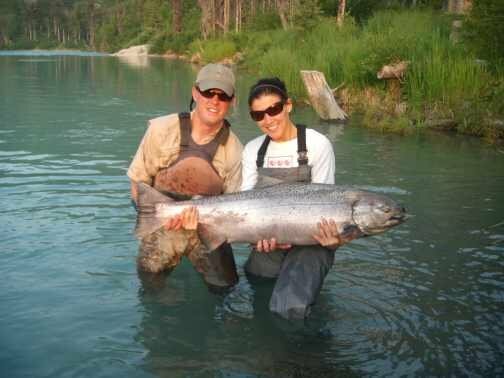 The inlet & outlet rivers boast incredible fishing; including fantastic runs of Sockeye & Coho (Silver) salmon. King salmon & Pinks are also available. 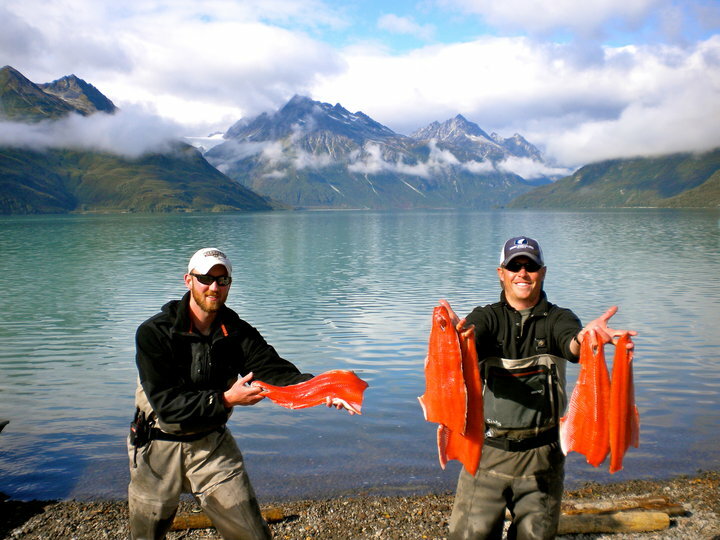 Lake Trout, Dolly Varden & Arctic Char are available throughout the season. 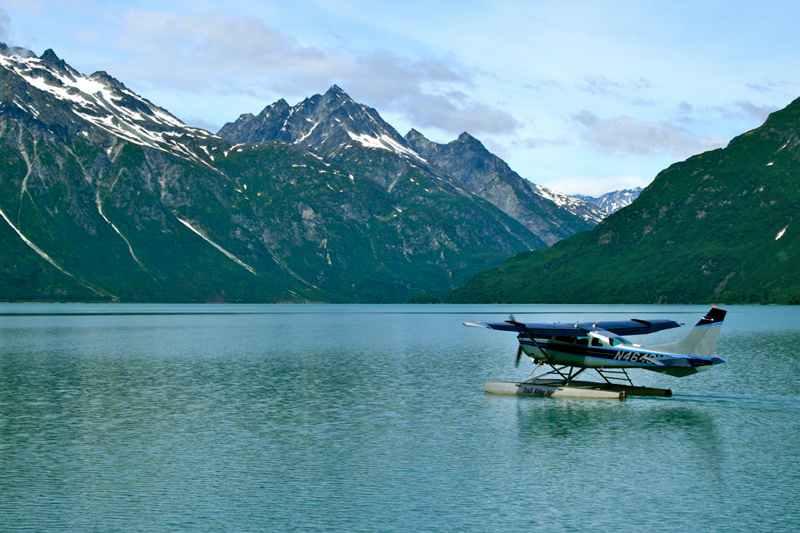 In addition, fly-outs can take you to some of the best King Salmon and Rainbow Trout fishing in the state. 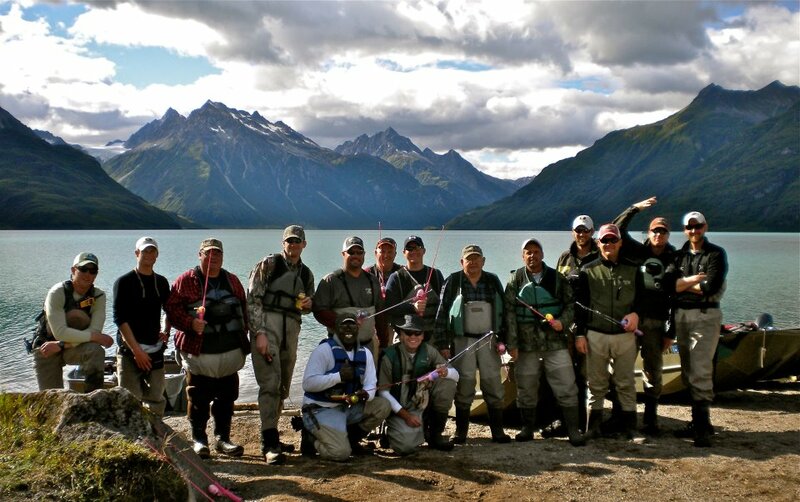 Whether you elect to fish the 2 mile lake fork of the Crescent River, troll the lake, go fishing off the beach, jet boat the inlet rivers or fly-out, a diverse fishery awaits the angler each day.